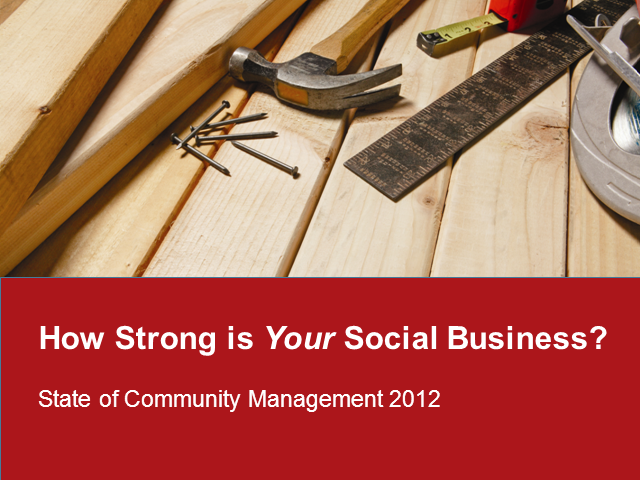 How strong is your Social Business? Learn more in this exclusive web interview! Social technologies continue to advance, offering you new ways to acquire and serve customers. In this live online event, Protiviti interviews Rachel Happe, online community strategist and principal author of the 2012 State of Community Management report. This report offers a rich range of experiences and perspectives from community management and social business practitioners at both large and small companies. Join us to find out more about your current state of social business and what your competitors and others are offering. Title: How strong is your Social Business? Learn more in this exclusive web interview!